CC image via the United Nations Development Programme on Flickr. 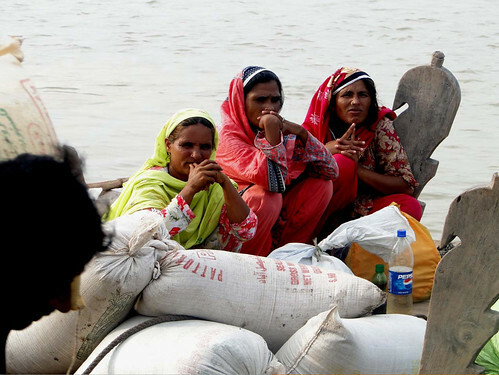 Whether due to disaster fatigue or a simple lack of news to report, the current flooding in Pakistan hasn’t received much coverage in animal advocacy corners. (Or in the mainstream media, but I digress.) 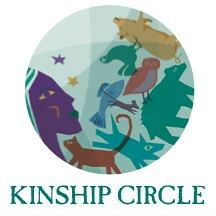 Those who have offered words of support and suggestions for providing aid deserve a little link love, don’t you think? 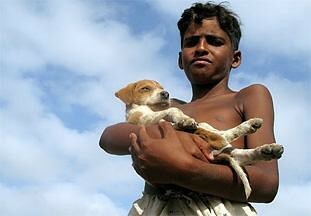 08/11/10 – Best Friends: Pakistan: Floods engulf a country; People and animals are uprooted in Pakistan’s worst floods. Please see the following newsletters and email alerts for additional information about animal rescue efforts in the wake of the flooding in Pakistan. 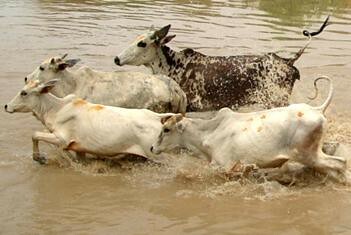 Thousands of starving animals affected by severe flooding in Pakistan need your help! 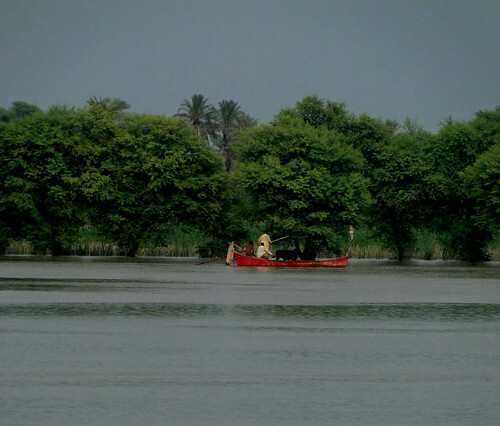 Hundreds of thousands of animals have already drowned due to tragic flooding in Pakistan that claimed 1,400 human lives and affected more than 15 million people. The surviving animals are at severe risk and in desperate need of food and veterinary care. Please help feed Pakistan’s starving animals. People in Pakistan are struggling to keep their animals alive. Floodwaters are still not receding and more rain is falling on the destroyed crops, which is leaving a massive shortage of animal food. WSPA is partnering with the Vets Care Club, a group of veterinary students and staff from the University of Veterinary and Animal Science in Lahore, to provide feed to cows, buffalos, goats and sheep in the Layyah District, Punjab. This region has 252 farmers with 4,458 animals. Your gift now will be used to buy nutritionally-balanced feed for animals who will most likely otherwise starve as their owners cannot afford to buy them food. A small gift can go a long way to stopping the suffering of animals. The flooding is now covering one-fifth of the country, including its agricultural heartland. Several villages have been severely affected, many completely demolished. WSPA’s 30-year history treating animals in disasters has shown that animals are crucial to the recovery of the region. 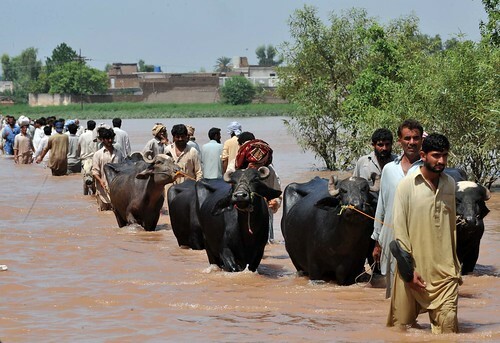 Agriculture, including livestock, is the livelihood mainstay of nearly 90% of the flood-affected community in Pakistan’s rural areas. Please send your gift now so we can respond to this current crisis and to other disasters around the world. Thank you for reaching out to animals in need. P.S . These animals are so important to the people of Pakistan. Your gift will not only help the animals, it will help their whole community recover too. Please give as generously as you can. This entry was posted on Monday, August 30th, 2010 at 9:50 pm. You can follow any responses to this entry through the RSS 2.0 feed. You can leave a response, or trackback from your own site. 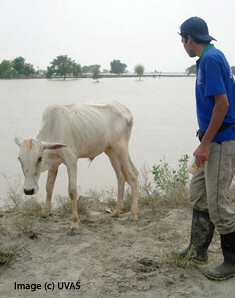 Thank you for focusing on the animals affected by the floods in Pakistan.